Come join Ms. Karen for an hour of fun crafting. 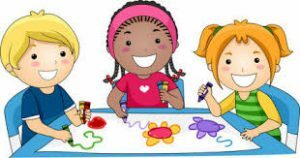 Each month we will do an art or craft activity that the kids can take home. This program is for children ages 4-7. Parents must stay with the child in the library while their child participates. If you must bring a younger sibling, please know that there will be age appropriate toys there for them to play with. You must register for this activity with the Children’s Librarian Barbara Pally or Amy Dean at 781-344-2711. This group is limited to the first 15 children that sign up!